Sony had very little to announce at its CES 2007 press conference yesterday, bar an Internet TV initiative in partnership with AOL and Yahoo! that will only work with Sony Bravia TVs. The new Bravia Internet Video Link was the so-called 'significant news announcement' that brought a lacklustre Sony press conference to an unsatisfying close. 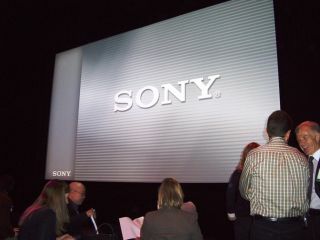 As described by Rick Clancy, a Sony spokesperson, the Bravia Internet Video Link is "the first Internet video system with the ability to stream high-definition content." The system itself consists of two elements. On the hardware side, the Bravia Internet Video Link is a network module that can be attached to the back of Sony's new Bravia TVs. This module will subsequently enable Bravias to connect directly to the internet without the need for a PC. On the software side, Sony has developed what it calls a "scalable video solution" to stream both standard definition and high-definition web content. The Bravia Internet Video Link will connect to a free online library of content, built around Sony's own music and video content, plus content from AOL, Yahoo! and YouTube-a-like video site Grouper. On the surface, Sony's announcement seems to turn its next-generation Bravias into fully-fledged Internet TVs. But it's not as flexible as it could be. As its name suggests, the new device will only work with Bravia sets and the add-on module itself is a wired (rather than a wireless) device. Crucially, perhaps, the Bravia Internet Video Link only offers a 'walled garden' approach to digital content - i.e. you get the content that Sony makes available for you. The addition of RSS feeds and personalised pages adds some flexibility to the service, but it remains to be seen whether Sony has a compelling content package.